We use C.R.A.F.T. 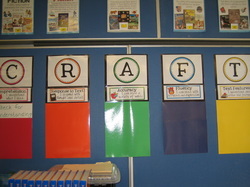 strategies to strengthen our reading skills. For Example in My Reading Responses.